At the office of Dr. Charles C. Harrington, we're proud to help patients of all ages achieve a healthy, gorgeous smile through quality orthodontic treatment. As a leading orthodontist serving North Potomac, Kentlands, Lakelands, and the surrounding communities, we offer a variety of orthodontic treatments to suit a diverse range of patient lifestyles. If you or your teen are considering orthodontic treatment but looking for a more discreet option, we can help – and Invisalign Teen offers an excellent choice. 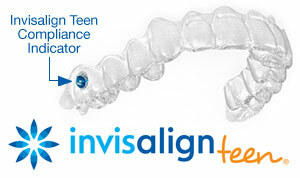 Invisalign Teen is an exciting new option for teenagers looking for a more discreet method for orthodontic treatment. Adapted from the revolutionary Invisalign System, Invisalign Teen doesn't use brackets, wires, or any metal components to move the teeth – instead, Invisalign uses a series of removable plastic trays, called aligners, to move the teeth. Invisalign aligners are smooth to the touch, completely see-through, and fit directly against the teeth, making them much more convenient and discreet. More Comfortable: Because the aligners are smooth to the touch, they won't cause cuts and scratches on the inside of the mouth like braces do. Easier to Clean: You remove the aligners to brush and floss, which means maintaining oral hygiene – and cleaning your aligners – is easy and convenient. No Dietary Restrictions: With braces, you'll need to avoid sticky, crunchy, or gooey foods to keep from breaking brackets. With Invisalign though, you remove the aligners to eat, so you can enjoy all your favorite foods! A Discreet Orthodontic Treatment: Invisalign aligners are almost impossible to see when worn. 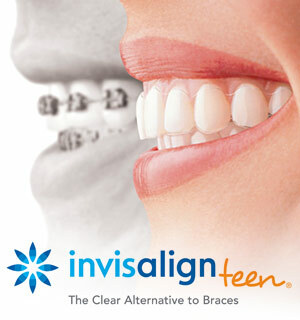 You'll never have to worry about braces during school pictures, prom, or any other major milestones! Invisalign Teen offers an exciting, effective, and discreet option for teenagers seeking orthodontic treatment – and if you're living in North Potomac, Kentlands, Lakelands, and the surrounding communities, we would love to help you achieve a new smile through Invisalign! Request an appointment online today to schedule your consultation and start the treatment process. We'll work with you to help you understand your treatment options, design a comprehensive treatment plan for your lifestyle, and help you achieve the smile of your dreams!